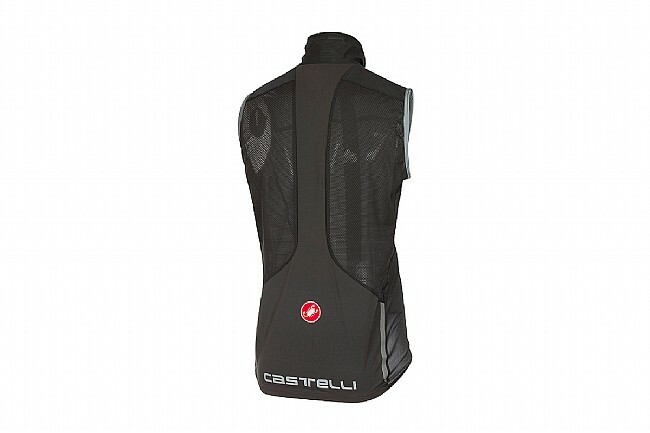 Unpredictable storms and inclement weather no longer can break your riding with this ultra-packable vest from Castelli. 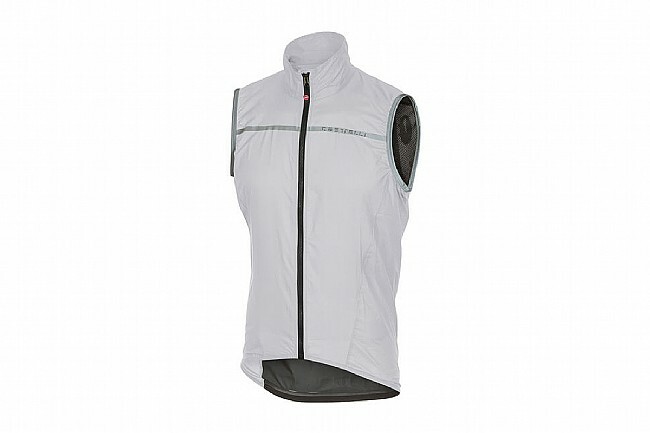 The Superleggera vest features Pertex® Quantum fabric throughout, featuring low permeability for optimal wind protection and water repellency. Designed to be kept in a jersey pocket until it's needed most, this lightweight vest will be your secret weapon for winter riding. A Stretch Torrent Waterproof insert on the back provides protection from rain and roadspray. Extremely packable windproof, water-repellant vest. Pertex® Quantum base fabric features low air permeability, blocking out wind and rain. Stretch Torrent waterproof fabric insert at lower back. 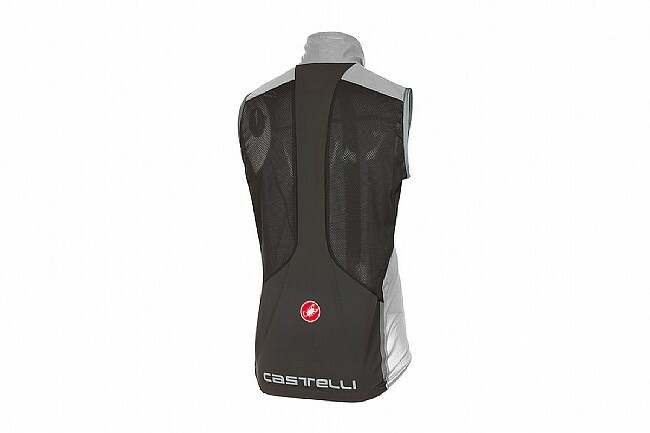 This Castelli vest fits great and capably fills the wardrobe gap when you need some light protection from the elements. I've used the Superleggera now several times, over just a springsummer jersey w arm warmers when 45-55 degrees, and its a perfect layering option. I'ts light weight and packs well when its time to shed a layer. 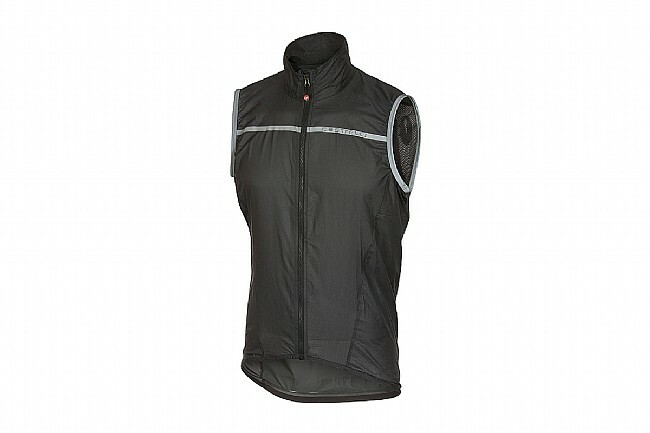 I have also used this vest when running. There are no pockets, which is worth knowing prior to purchase, but has not proven to be any problem. Even with a somewhat trim fit, there is sufficient room to stuff your jersey pockets under the vest. I love this vest!